Is the creepy clown mask back? 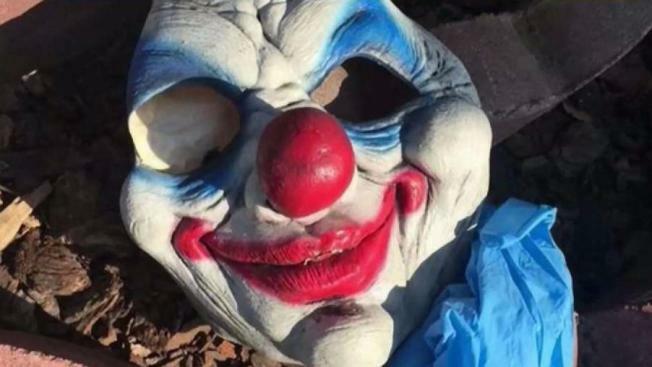 A victim of theft in the South Bay says one of the suspects left behind a clown mask as he was getting away. The suspect was not wearing it at the time of the crime, but police said it might provide a link to other crimes in the area. "They say they believe it might be linked to a few home invasions," victim Justin Wise said. "There's been a slew of robberies." Wise says he was installing shutters at a home in North San Jose last Wednesday when he saw two young girls and a man stealing power tools from his unlocked truck. The suspects jumped into a car and Wise ran after them down a street. Police told Wise the car was stolen out of Fremont. "I work hard for my tools and those are what I use to support my family," he said. "No one should be able to go into someone else's property and take it." What stuck with Wise was the clown mask. Surveillance video of a convenient store robbery in Florida this past June show suspects both wearing clown masks. Police are not confirming a trend with clown masks, but there is a concern because Halloween is only a month and a half away. Schools last year banned clown masks on campus, along with any mask that conceals the identity of the person wearing them.